DemGen provides specialized virtual support services for marketing, sales and customer service for authors, speakers and coaches! We keenly understand your needs and the strategies required to take you to the next level. Increased online and offline marketing activities will raise your profile, helping you to secure more sales, appearances and clients. Virtual support allows you to focus on what you do best – being an expert! DemGen, short for Demand Generation, is your on-demand business development team! 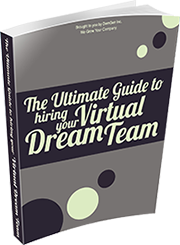 Our virtual marketing, sales and operations experts help authors, speakers and coaches grow their businesses.